We are huge theatre fans! If we can see a show then we will be there. From musicals to serious plays, anything will drag us to the theatre. Christmas is one of the most fun times in the theatre calendar as it's pantomime time! The time where the whole family can go, where you're encouraged to laugh, sing and shout along with the show. 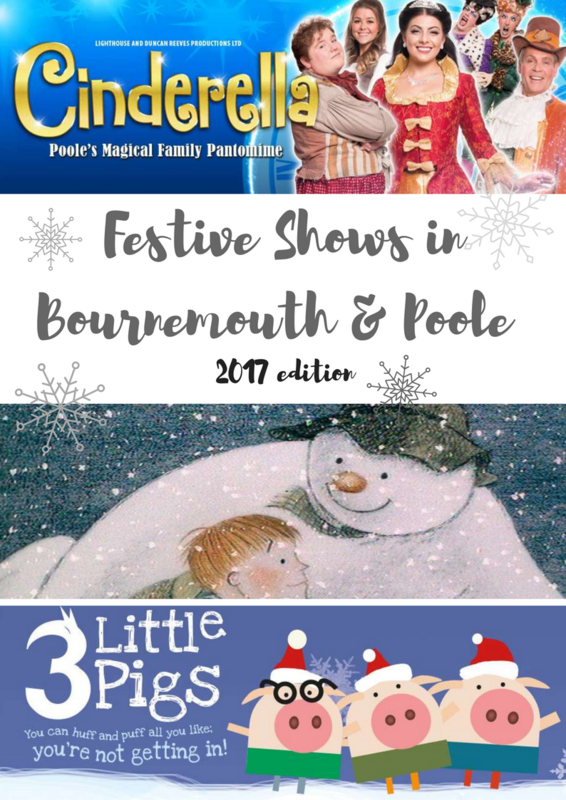 With an amazing host of theatres in the Bournemouth and Poole area, I wanted to showcase some of the ones I am most excited about this year so you and your family can book and enjoy as much as we will. The Lighthouse Theatre, Poole has a fantastic selection of shows on this year. Cinderella is their pantomime and after their amazing show last year I can't wait to watch it. With a cast of familiar faces such as Ethan Lawrence from Bad Education and Lucy Kay from Britain's Got Talent and a script from Duncan Reeves who produced last years show, it's set to be a show stopper. Our tickets are already booked and I can't wait to get into the festive spirit. This year, The Lighthouse have teamed up with Bournemouth Symphony Orchestra to put on a special performance of The Snowman. Listen to the fantastic orchestra as you watch the memorable movie. It's one of my Christmas favourites and it's a show that will definitely inject the magic into your holidays. Finally, the Lighthouse are hosting a show just for little ones. Three Little Pigs tells the tale of the three pigs trying to keep out the wolf this festive season. In previous years we have absolutely loved The Lighthouse's shows aimed at a younger audience. Full of audience participation, and a shorter length means that it's the perfect introduction to theatre for little ones. Over at Bournemouth Pavilion, they are putting on Jack and the Beanstalk starring Rachel Stevens and Derek Moran. Whilst I've not been to a Pavilion pantomime for a number of years, it's normally a big hit and receives loads of great reviews. For something a bit different, the Regent Centre in Christchurch is hosting their Christmas Spectacular for another year. I'm a bit biased on this show as I know so many people that are starring in it! But the years I have attended have filled me with Christmas cheer. It's always on the week before Christmas and is packed full of fantastic dancing and hit singing. Finally, these shows might be a bit far out of the Dorset area, but are worth the journey. Both are being shown at the Mayflower theatre in Southampton. The first is Slava's Snow Show, an award winning theatrical adventure that has been seen across the world. Secondly is the Mayflower's pantomime, Snow White and the Seven Dwarfs. Starring Craig Revel Horwood and the Chuckle Brothers, it's set to be a star studded event. We went to see their panto last year and loved it, so we will probably be booking tickets this time too! 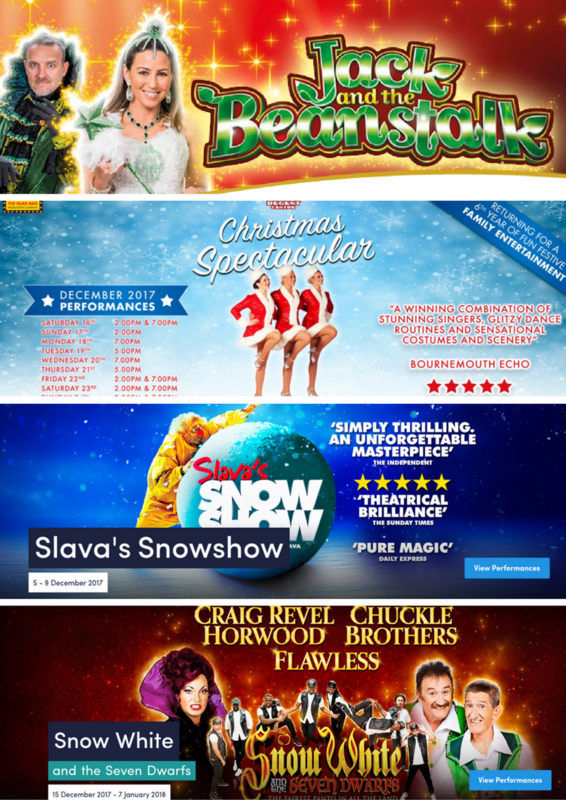 Whether it's a panto or an immersive show, there's something for everyone this Christmas. What will you be going to see? Philips Disney Frozen Night Light Competition.